Earlier this spring some friends came by with their 2 year old daughter, Loretta, to see some animals. They had come from the Ag Hall where there had been an advertised “Barn Babies” event, which led them to believe there would be loads of baby animals wandering through the big timber-frame barn for all these tiny, eager, island children to pet. Instead they found a few other toddlers with scooters and tricycles, just riding around a big empty agricultural hall. So they drove up the road to us, in hopes of appeasing these now disappointed little ones. “Well whatchu got?” asked Loretta. 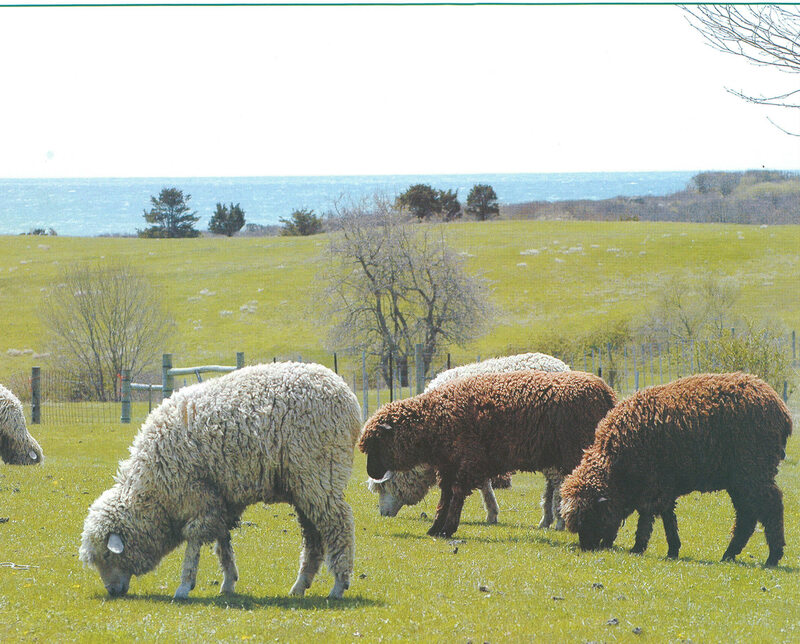 Tavi listed off the other animals – sheep (with their baby lambs), horses, donkeys. But alas, no pigs. Loretta took a few eggs home to eat with her parents. Hopefully she’ll be back soon, though, because a few days ago we picked up our pigs from our friends over at Native Earth Teaching Farm on North Road. 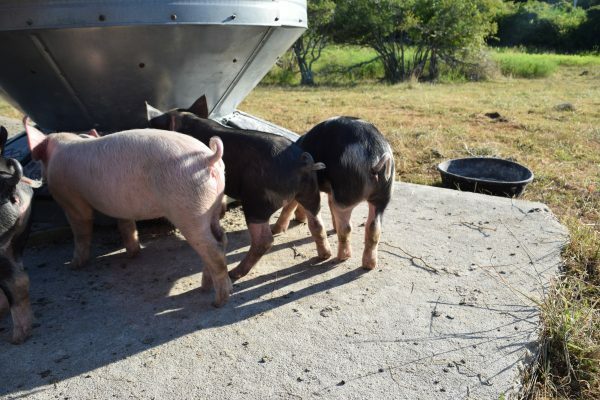 They are 75% Berkshire, 25% Landrace, and they are pretty great. 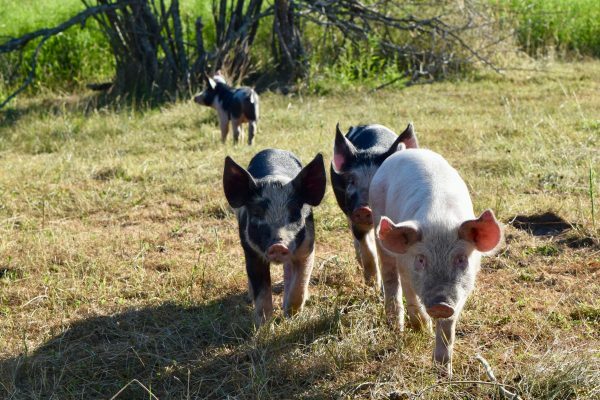 It’s been 5 years since we’ve had pigs, and we’re glad we got ’em back. Call us today at 508-645-9064 to place an order, or stop by the shop!